The Naples-based nonprofit organization Tumaini Fund USA will host its annual “Colors of Hope” benefit gala and auction on Saturday, March 18 to raise funds to support thousands of impoverished AIDS orphans and widows in the Kagera region of northwest Tanzania, one of the poorest regions of the world. 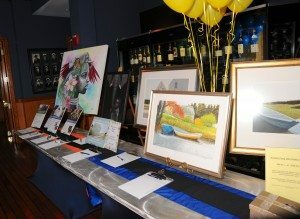 The event, which will begin at 5:30 p.m. at the Naples Sailing & Yacht Club at 896 River Point Drive in Naples, will feature live and silent auctions, entertainment and a presentation by Tumaini Fund CEO and founder, Dr. Susan Wilson. Ticket price of $150 per person includes dinner buffet and three drink tickets. To register for the event, visit www.TumainiFundUSA.org/news-events. Event proceeds will help Tumaini Fund USA continue its support for more than 25,000 Tanzanian orphans, supplying them with necessities such as food, clothing, mosquito nets and access to clean water and educational opportunities. The Tumaini Fund strongly promotes educational opportunities in order to help orphans become self-sufficient and end the cycle of poverty. For more information, contact Grace Gokturk at 501-454-8428 or info@tumainifundusa.org. Tumaini Fund USA is a 501(c)(3) nonprofit organization headquartered in Naples, Florida and was founded in 2009 to help alleviate the suffering of an estimated 200,000 impoverished AIDS widows and orphans in Kagera, the northwest province of Tanzania, Africa. Tumaini is the Swahili word for “Hope,” and the organization was named accordingly because it strives to bring hope to the Kagera people who live in one of the poorest regions in the world. Tumaini Fund USA currently supports 25,000 orphans by working to improve their health, providing basic needs and encouraging education to help them become self-sufficient and break the cycle of poverty. The organization prioritizes education and provides educational resources such as school supplies and building classrooms while helping to meet basic needs such as nutritional support, clothing, housing, mosquito nets and access to clean water. For more information, visit www.TumainiFundUSA.org or email info@TumainiFundUSA.org. Follow the organization on Facebook at www.facebook.com/TumainiFundUSA or on Twitter @TumainiFundUSA.